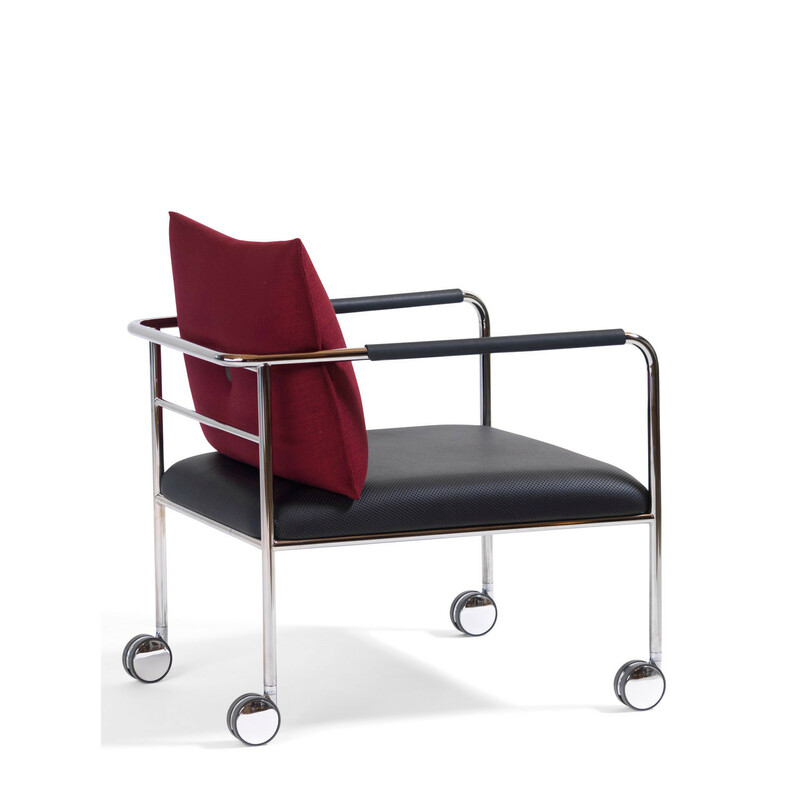 Morris JR Armchair O651 with castors and a simple steel frame takes inspiration from an original design of 1960s. 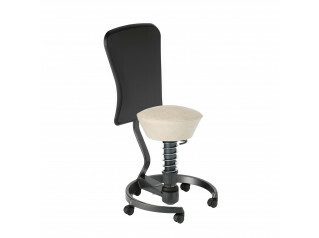 A modern mobile seating solution. 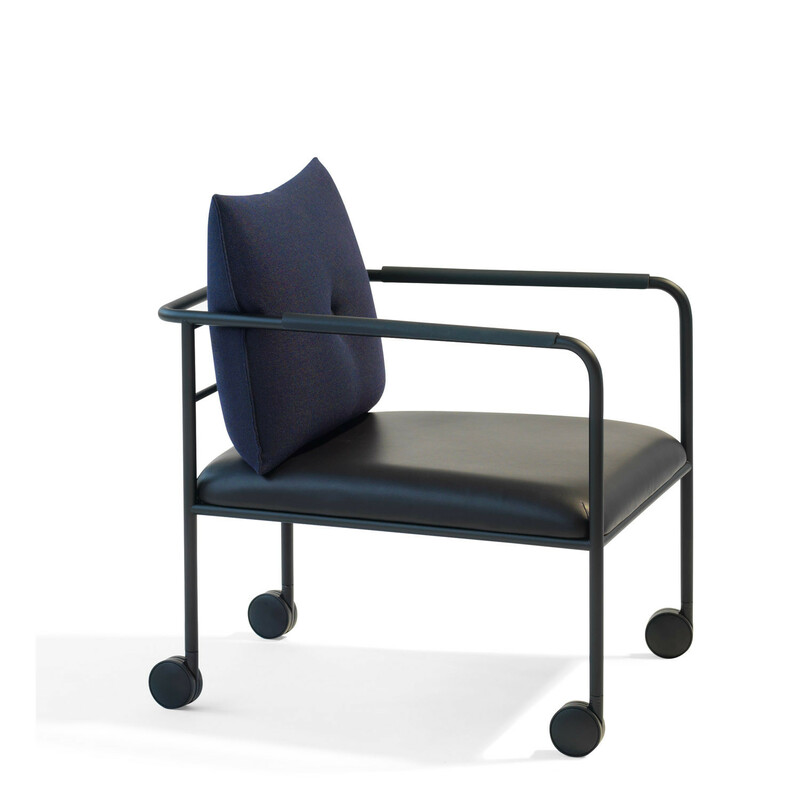 Morris JR O651 is an easily placed flexible armchair where the loose back cushion serves as the finishing touch. 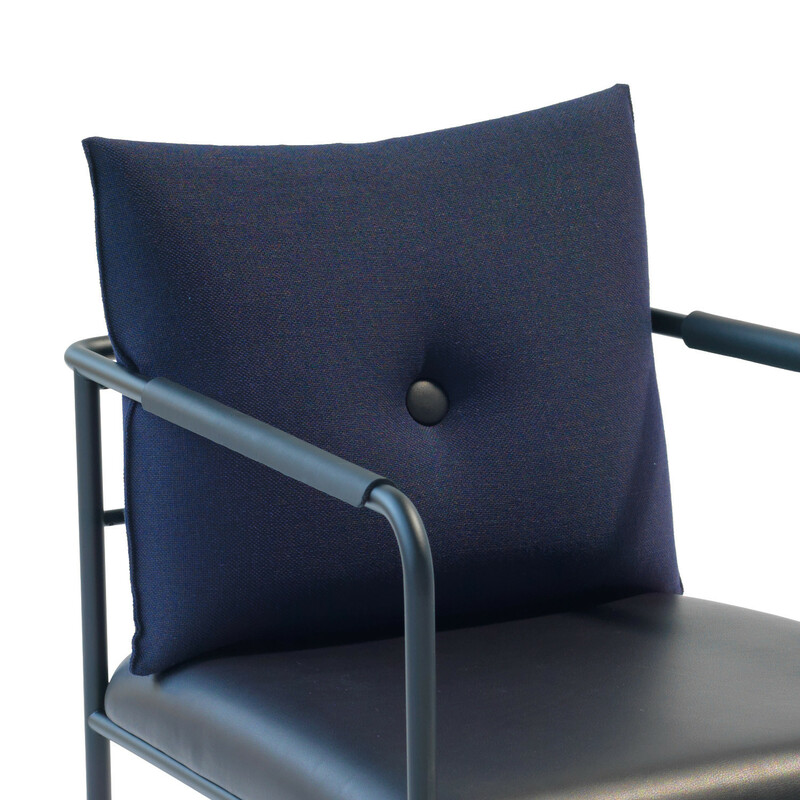 Morris JR works with mobility in a natural interplay with the user and makes it easy to put an interior in order after the users have left the room and refurnished it according to their own needs and functions. 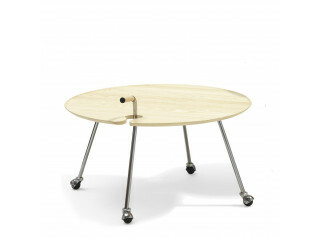 With castors on the furniture you also save a few backs. 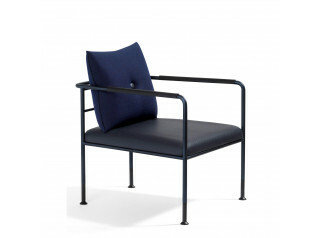 Morris JR Chair is also available without castors. 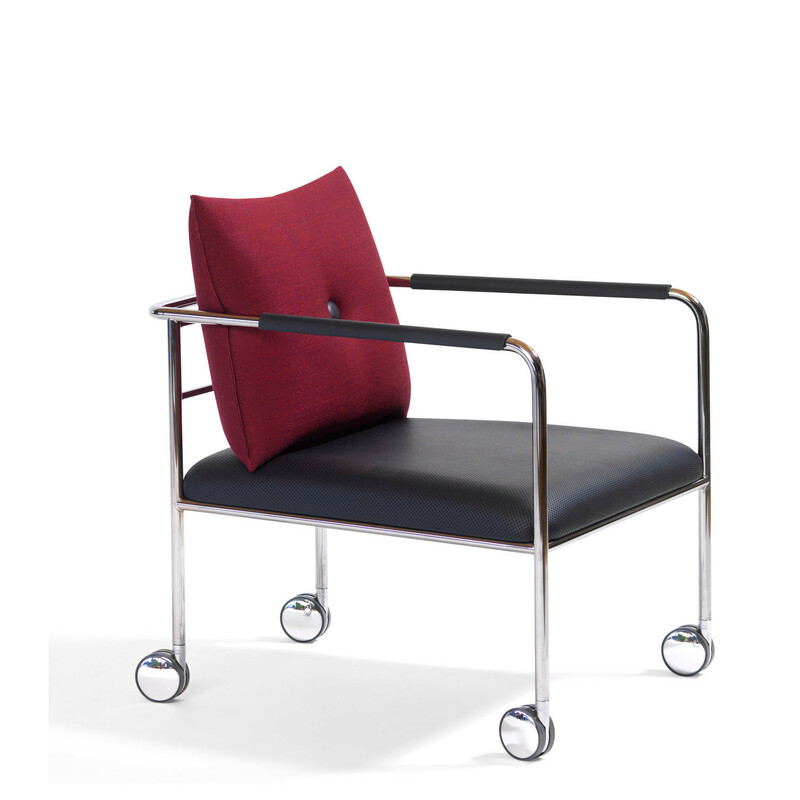 MATERIAL: Armchair on wheels. Seat with frame of wood and steel. Nosag. Padding of moulded CMHR polyurethane foam. Upholstery of fabric or leather. 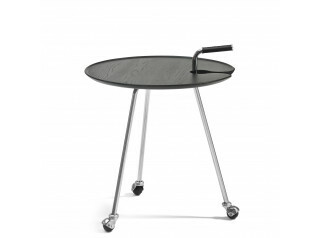 Tubular steel frame in black lacquered steel or "green" chrome, chrome III. Wheel of steel and plastic. You are requesting a price for the "Morris JR Armchair O651"
To create a new project and add "Morris JR Armchair O651" to it please click the button below. 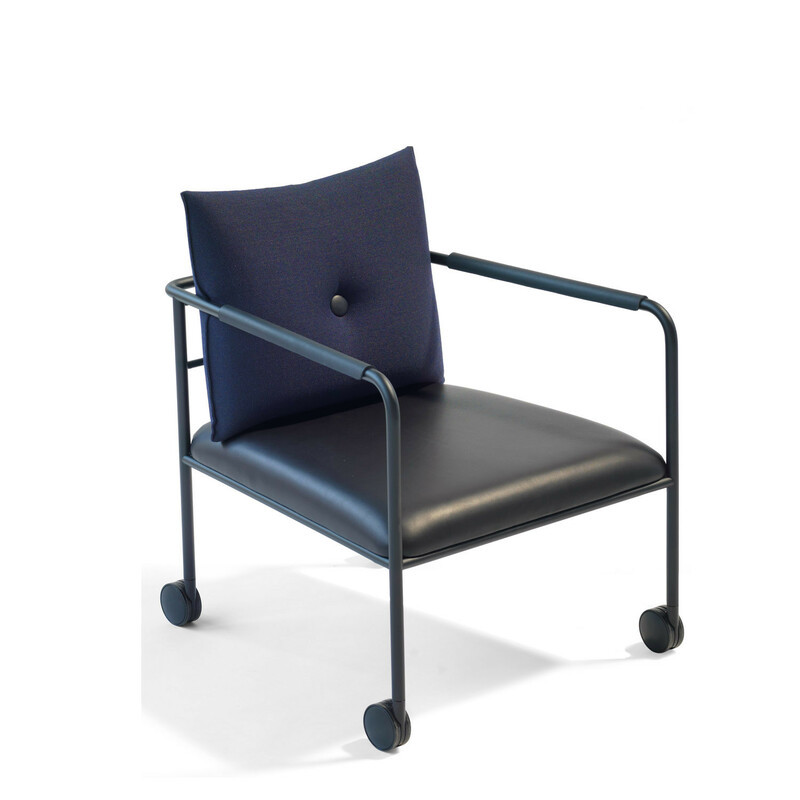 To add "Morris JR Armchair O651" to an existing project please select below.